On my way to Mojo! You must be a member of the Athens Spontaneous North Suburbs Group to attend this activity. Would you like to join this group? Protected content is a really friendly and cozy place with a nice atmosphere, music and a beautiful garden in the center of Athens. but at this time of the year,we ll enjoy the place inside. From the morning for coffee in the garden until late night for drinks! "Excellent service and fantastic people ready to make your drink wishes come true! 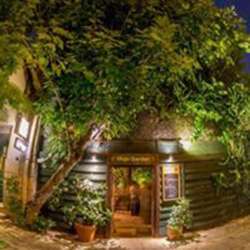 A little paradise in the heart of Athens!!! You must visit it 4 sure"
i will be very glad to see you all there! A VERY HAPPY NEW YEAR Protected content all of you!